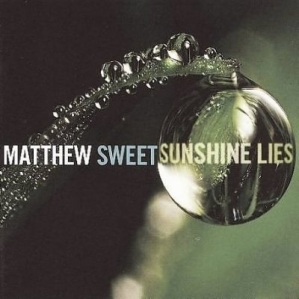 Bob Dylan may have famously said “you don’t need a weather man to know which way the wind blows,” but Matthew Sweet knows different. Atmospheric and emotional pressure builds on this new album as the tightly wound singer/songwriter alternately rages and slogs through one predicament after another, questioning everything. Like Edgar Allan Poe before him and Noel Gallagher after, the Lincoln, Neb., native uses climatic conditions to measure his state of mind—which careens wildly between consternation and audacity, eventually ending up at acceptance, and a kind of psychic rebirth as he works through his own cycle of grief and confusion. Along the way he conjures sunlit days that are far from idyllic, for in the Sweet-ian universe, light obscures more than it reveals; it’s in the dark parts of the heart and mind that true revelation exists. Nobody else makes uncertainty sound half this good. His best outing since 1999’s In Reverse.